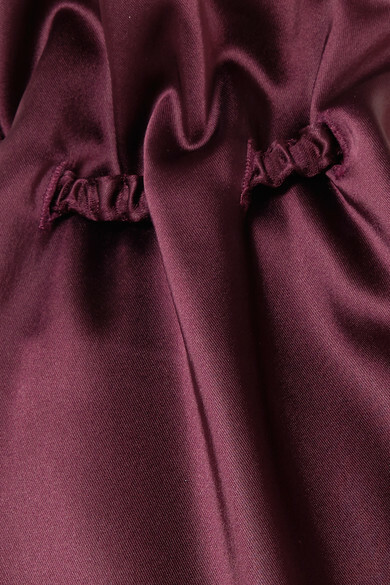 Rosetta Getty's mini dress, made from a lightweight satin, was featured in the label's Resort '19 lookbook as part of a head-to-toe burgundy outfit. The face-framing ruffled neck is perfect for festive parties - you can adjust it by pulling the drawstring ties at the back. Sweep your hair behind your ears and add statement earrings to complete the look. Shown here with: REJINA PYO Bucket bag, Magda Butrym Mules, Bottega Veneta Ring, 1064 Studio Earrings.